I won’t be sorry to say goodbye to 2015. Here in Paris, the year began and ended in tragedy. Of course, like all things of beauty, perfume can be a solace. Yet after the shock and horror, it’s been hard to channel quite the same amount of enthusiasm into it as usual. Or even to muster up much desire to write. Whenever work hasn’t been tying me down to the computer, I’ve felt the need to be with people rather than putting in more hours at the keyboard. With deadlines piling up and a nagging health issue requiring attention, the blog was the only area in my life where I could cut myself some slack, hence my silence. Meanwhile, the landscape of Perfumeland has shifted. With L’Artisan Parfumeur bought up by the people who brought us One Million, the last nail in the coffin of the pioneering niche brands has been hammered in. To be fair, Puig does handle the unimpeachable Comme des Garçons, and L’Artisan hasn’t been properly helmed for years. Still, the brand founded by Jean-François Laporte in 1976 as a reaction to the ascendancy of marketing will become a marketing-driven brand. And in dispensing with Bertrand Duchaufour’s signature, the Catalan giant has purged the ur-niche house of its last shred of soul. Let’s just hope Puig doesn’t cull too many fragrances from the catalogue. 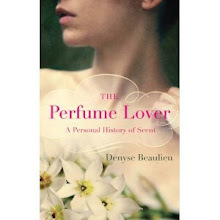 Of course, niche – the reason most of us became perfume geeks in the first place – is still thriving. In the list provided by the Fragrance Foundation France in view of the Experts’ Award at the 2016 French Fifis, I’ve counted over 350 launches – that’s just the stuff sold in France -- for 110 brands, a full third of which I’d never heard of. And more than a dozen of which put out 4 new scents or more in 2015: Atelier Cologne churned out a whopping 10 new juices, as did Jo Malone. Amber can sit a little uneasily on the liver when expressed in all its fatty-waxy glory. Despite the scent’s “intense” qualifier, Patricia de Nicolaï delivers a deliciously Parisian – i.e. measured – interpretation of the note, dried up with iris and clove, and pricked with enough black pepper to open up the accord. I’ve been dithering about including one of Lutens’ new “Section d’Or” collection – one shouldn’t have to mortgage a kidney to smell good. Still, it’s hard to turn up your nose at scents that are so quintessentially Lutens. Like all the “Section d’Or”, Cannibale is of a denser, almost resinous olfactory texture than the “bell jar” or “export” collections. Charred rice powder and ashes of roses flutter over crackling incense tears… the cannibal in question may well refer to the alchemical process of digestion. In Cross of Asia, Dominique Ropion says he’s done for ylang – a notoriously difficult note to treat as a soliflore – what he’d done for tuberose in Carnal Flower. Up close, this seemingly straight-up floral is a compelling oddball that picks apart and reassembles all of the facets of ylang – including intriguing salty, rosy and green apple notes. For the time being, the Paris-based brand is only sold at Bergdorf Goodman in New York, but it’s well worth seeking out. Olivier Polge’s first composition as Chanel’s new in-house perfumer is a deliciously retro take on the Paris violet-rose accord. Lipstick and fur on heated flesh: Chanel’s first perfume named after a woman not the founder is the brand’s most carnal offering to date. Am I influenced by Nanban’s Asian inspiration? At the heart of Rodrigo Flores Roux’s chewy resinous incense and amber accord, I can pick out smoked plum – as though a bit of Femme had been steeped in traditional cuir de Russie. 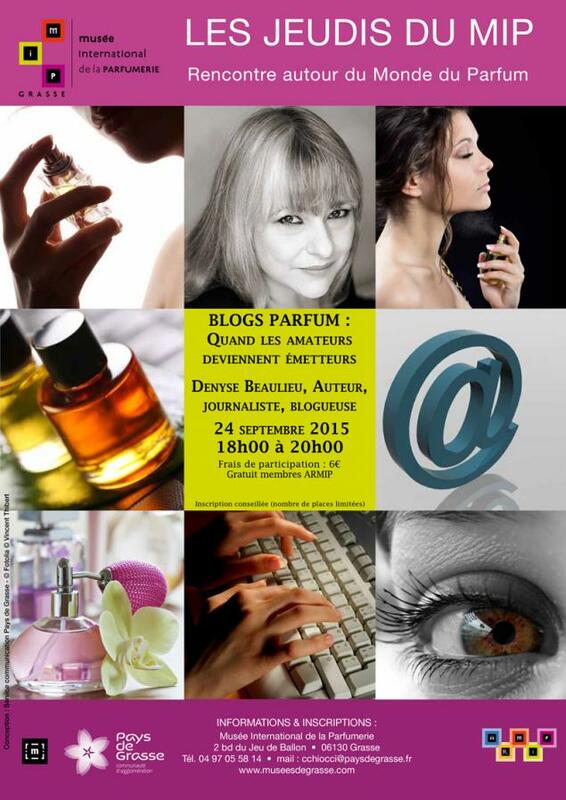 One of the few 2015 mainstream launches most of my French perfume blogger friends seem to agree about. To my nose, this creamy, gardenia-tinged cosmetic notes is on the same area of the scent-map as my beloved Ylang 49: a rose-vetiver axis that is faintly reminiscent of 70s chypres. I’ve been favoring the oil version, in which the vetiver stands out more distinctly. With its splash of sap drizzling on a lick of honey, Bertrand Duchaufour’s take on daffodil reads like a color-saturated, baroque descendant of Jean-Louis Sieuzac’s masterful Dune: a northern interpretation of solar notes. It was a bold move to launch a fragrance named after such a tabooed substance – but then, Marc-Antoine Corticchiato is one of the industry’s ballsiest noses. Matched with the hay and sap facets of narcissus, bolstered by the mulled-fruit lushness of immortelle, the scent is not about smoke or ashes but about the leaf. Part of the “Eaux Arborantes” trilogy dedicated to trees – the brand’s best to date, to my nose – Nadège Le Garlantezec’s Tellus uproots facets of perfumery materials usually expunged from the palette. Smells of dank, mushroom, humus and dirt-smeared burrowing critters… It’s the nose gone to earth. Primeval and oddly comforting. Last (in alphabetical order) but not least… despite being a decade old, Bertrand Duchaufour’s interpretation of the Malian ritual of thiourayé was truly my scent of the year. I rediscovered it while researching African-themed fragrances for Citizen K International. Its vetiver backbone, slender as a blade of bison grass, holds up a grapefruit-to-smoke vertical structure as satisfying as the best white wines. And somehow, wearing it on alternate days with Mitsouko shed light on both scents, showing Timbuktu as a chypre and making the role vetiver plays in Mitsouko (in the current edp) more legible. Great perfumes, like all works of art, yield different readings over the years. Thus, my 2015 Timbuktu is not the one I knew in 2005. May 2016 bring many more such discoveries… And may Puig not discontinue this rare gem. Illustrations: Anna Karina in stills from Jean-Luc Godard's Pierrot le Fou. I’ve just handed in the French translation of E.L. James’ new Grey, a 14-hour-a-day, shackled-to-the-keyboard marathon during which I must admit our seasonal top 10 wholly slipped my mind – hence this belated contribution (that prose would soften anyone's... brain). I subsisted during my stint in the Red Room of Pain – aka my living room/office – by spraying myself periodically with the bracing, mint-and-grass scented Herba Fresca one of the first Aqua Allegorias. And a reminder that Guerlain was way ahead of the competition in the faux-de-cologne genre since the collection goes all the way back to 1999. I’ve been having a tiny bit of a niche backlash these days. It kind of snuck up on me: at this stage, and with summer coming on, I can do without the drama queens, the fascinating weirdos and the 700th vetiver. I’ve been drawn to abstract, sleek pieces like Alaïa, Paris which I’ve been wearing most days. I’m more aware of the mineral-animal axis, but most people who’ve smelled it on me get into the fruity floral angle (there’s an osmanthus effect though none is claimed). Narciso is another one of these abstracts scents: sniff it at certain angle and you’ll get the rose-vetiver bearing walls of another great favorite of mine, Le Labo’s Ylang 49. But while the latter plays a 1970s-style green chypre structure off the saline aspects of salicylates (major components of ylang and responsible for “solar” notes), Narciso Rodriguez’s new feminine gives off a grand, static milky haze. The “Oil parfum” version is markedly woodier: a lick on the nape of the neck will do the trick on a hot day. Seamless, non-figurative compositions – the olfactory equivalent of ambient music – are something of an Alberto Morillas forte. Pending his upcoming Voulez-vous coucher avec moi for Kilian, a “flower milk” to be released in October, his limited-edition Good Girl Gone Bad – Splash of Neroli blows a bubble of freshness into that great ball of flowers. 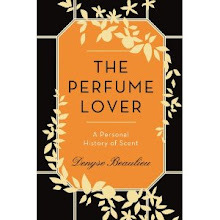 It is a scent I turn to when I just want to slide on the scented equivalent of a décolletage -- like Guerlain’s Terracotta, such a success last year it was brought back as a permanent reference. My favorite version is actually the after-sun cream, which I use as a moisturizer after I’ve showered with Yves Rocher’s classic, divine and dirt-cheap Monoï de Tahiti Lagoon Hair & Body Wash – I was turned on to it by Isabelle Doyen, who was actually born in Tahiti and so knows her monoï. I’d bathe in pools of the stuff. I’ve just written I could very well live with the 700th take on vetiver, but to cut through all that tropical, lactonic, fruity floral frivolity, I spritz on Prada’s Infusion de Vétiver – with its fizzy ginger bite, it’s just begging to be turned into a cocktail (mixologist are become a fixture at perfume-y events, but that’s another story). To conclude, I’d like to share a bit of disheartening news. 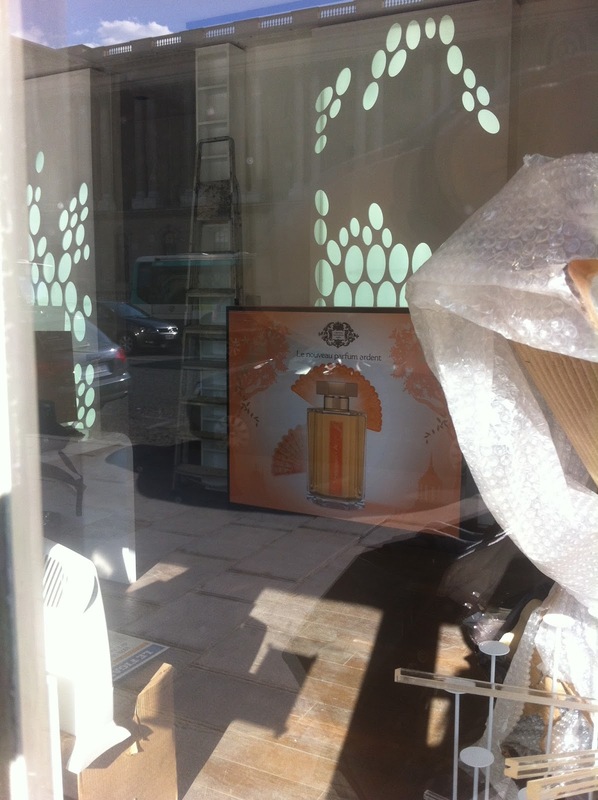 I hadn’t been walking around Paris much (because of my 50 shades of translation misery), but two days ago I found out that L’Artisan Parfumeur’s Grande Boutique on the rue de l’Amiral de Coligny, opposite the Louvre, was no more. That was where Bertrand Duchaufour had his lab, and thus where Sévillle à l’aube was conceived and birthed… I’m sure many of you dropped by there at some point to pick up your favorites: it was one of the very few freestanding L’Artisan boutiques left. Let’s just hope Puig knows what to do with the brand. At this point, no news has filtered.